What Makes Data Security so Daunting in Cloud? How To Defeat it? Cloud computing is an extensively used technology these days. It is mainly used to store information in an off-site data center. This information is available to a variety of users and devices that are connected to that center whenever the users demand for it. Through the help of cloud computing, applications and services can run on a distributed network by using common Internet protocols and standards related to networking. It stands out by the concept that resources are virtual and infinite. Another thing that should be considered in cloud computing is the fact that details of the physical systems on which software runs are abstracted from the user. Cloud computing represents a standard shift in the way of deployment of systems. The progress of some large service companies and extensive usage of the Internet led to the development of the massive scale of cloud computing systems. With the help of cloud computing, utility computing would become possible along with a universally accessible system with pay-as-you-go and infinitely scalable facilities. Cloud computing makes it possible to start very small and reach great heights in a short span of time. Cloud computing would surely prove to be a revolution in the coming times. Despite the benefits of cloud computing, problems with latency, transaction control, and primarily security and regulatory compliance are worth to be noted. The Internet is said to be resilient rather than secure. Information and applications protected on a Local Area Network do not have too many security issues when compared to any application that is distributed over a huge network and prone to a larger area for attack. Cloud computing is susceptible to viruses and other cyber threats that come with Internet applications. In addition to these, pooled, virtualized and outsourced resources can make this facility even more vulnerable. In order to evaluate your risks, the following facts should be taken into consideration. Make a note of the data, services, applications and other resources that you wish to move to the cloud. Loss of privacy, unauthorized access by others, loss of data, and interruptions in availability are the risks that should be kept in mind and evaluated. Evaluate how sensitive the resource is. Determine the specific cloud service model that you expect to use as the types of cloud on which the applications are deployed specifically affects the risks involved. Once you have made up your mind regarding the cloud service provider, have an understanding regarding how data is transferred, its storage, and how to handle the addition and removal of data from the cloud. Multi-tenancy is referred to the feature by which a single platform has many other tenants operational on it and services for storage, database and computational tools are shared with everyone. This leads to invasion of the information privacy for the tenants. Therefore, it is very important to make multi-tenancy secure. To overcome this issue, it is important that tenant data is made isolated. This would prevent other tenants from knowing or controlling the location of information. It is advisable to keep the data at a few other locations too in order to have a safe backup of the data. Even if the attack takes place in one location, the data does not get lost by doing so. Elasticity allows the users to scale the capacity of the provided service up or down without any interaction with the consumer. How to overcome the issues with elasticity? The boundaries of the country in which a tenant resides should determine the location of the data. Moreover, it should be assured that the resources are appropriately used by including mitigation strategy on the placement engines. This would enable the services to move from physical host or one cloud provider to another. There are times when users of cloud computing have to face non-availability of important information at crucial moments. This can adversely affect their business and make them lose money too. How to overcome unavailability of data? It is recommended to have a backup storage space for critical information. It is mandatory on the part of cloud service providers that they inform the consumers about the downtime. Losing the data can adversely affect the profit of the business. This can be due to the shortcomings in the design of the application or hijacking of account. It can also be caused due to insecure interface of users, malware and Denial of service attacks. How to overcome loss of data? Loss of data can be prevented if the data is encrypted. Whether the data is protected or not can be analyzed at design and run-time to make sure that there is no data leakage. Denial of Service attack and Distributed Denial of Service attack can lead to a server outage and loss of information. How to overcome service disruption? After finding the attack type, change the domain name servers and do not forget to call specialist to analyze the situation. You can change the setting of firewall in the server to stop the mayhem further. Once the protection is enabled, closely monitor outgoing and incoming traffic. If you lose control over the data or information, your business can land up in trouble. Every organization should take this point into consideration once they make up their mind to use cloud services for data storage. How to overcome lack of control? The consumers should be aware of the management of their data through cloud services. 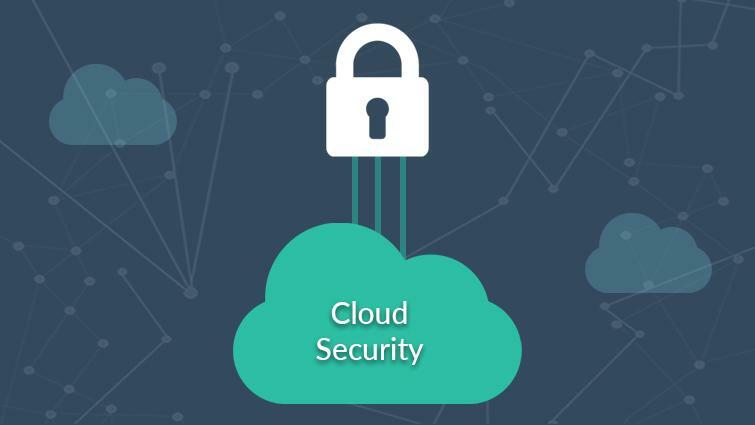 They should be well versed with the security policies and storage guidelines of the cloud service provider to be assured of their data protection. Sometimes, the cloud service provider outsources security to some other platform. Dealing with cloud services requires proper attention to the roles and responsibilities involved between the organization/users and cloud provider, specifically when it comes to avoiding risks and making sure that organizational needs are catered to. How to overcome loss of governance? You can ask for sufficient proof of the cloud provider’s compliance and make sure that there is a possibility of compliance audits in the vendor’s infrastructure. Once you have a detailed account of the risk profile of the vendor, you can understand their suitability for your business. Compliance means that an organization abides by established laws and regulations. When information crosses borders, it becomes quite doubtful which legal, privacy and regulatory regimes can be applied. This raises many concerns for the users. How to overcome compliance concerns? The cloud provider should ensure that they have specific jurisdiction for the data storage and processing. By doing so, the reliability concerns can be alleviated quite effectively. Cloud computing is getting continuous impetus and because of that, security has become a core issue. Many deployment models are established to address the security issues that are already recognized. In a nutshell, it can be stated that reliable security technology, specific protocols and algorithms provide support for privacy at cryptography level, it can also prevent security attacks and destruction of information and services.